The tougher conversations about human behavior. You know those conversations that we talk about at the bar, behind closed doors, and over texts daily… but no one seems to want to publish? That’s the goal here. Move the conversations that we have privately to a public forum. We owe this to our foremothers and forefathers. We owe this to the students of our field. We owe this to the consumers of our scientific endeavors. 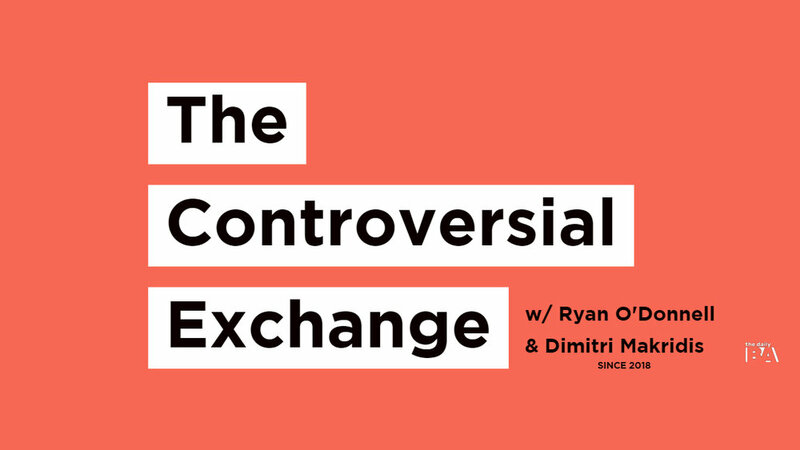 Each month Dimitri and I (RYANO) will sit down to record an Op-Ed style podcast on the tougher conversations that about human behavior. We officially launched the first episode in January of 2019. Listen to the first episode below for the context of the show and learn more about who we are. After that, write in or call in to tell us who you are, what you want to see covered, and any questions we may be able to answer. Expect at least a monthly upload to all of your favorite platforms, full-length video episodes for Patrons of the channel, and follow along through the social channels linked below. Tell a friend. Send this page to them RIGHT NOW. Follow us on Twitter or Instagram and DM us what you’re thinking. Email us with any ideas, questions, or comments you may have. 1. A variety of perspectives are heard and further discussion continues in the community - ideally, this is covered thoroughly enough to limit any trolls or hate mail. 3. The final product is forever free online and can be used by essentially anyone ever. Looking for an older episode? Click here! This content is supported through Patrons of The Daily BA. I provide additional value depending on the tier that you select. Learn more about becoming one here. If you’re looking for daily emails about the newest video episodes or podcast releases, then sign up below. Occasionally I get offers to extend discounts to events to subscribers, so you may receive an offer like that from time to time. Thank you! Go subscribe on YouTube to keep up to date! If you have an idea you'd like to submit feel free to submit it here and we'll be in touch There are no guarantees we’ll pursue the idea. Convince us, and show us that you have your ducks in a row. Any experts, nay-sayers, proponents of this idea, etc. I’m a behavior analyst living in Columbus, Ohio. I'm a practitioner-scientist, at least I really try to be. I started out in direct care, as many of you, and have grinded every inch of the way. I have an M.A. from The Chicago School, and I’m working on my Ph.D. right now. I’m pretty simple when it comes to what I think about the field. Basically, we have the power to change anything we want about anyone at any time given the necessary variables and resources. That includes saving the world. Not too out there, right? If you’re reading this, we’re probably on a similar wavelength, or at the least, you get what I’m saying. I’m diving in this experiment to see if I can bring anything to the table and learn as much as I can. My interests are all over the place from anything behavior analysis, philosophy, politics, technology, media, to podcasting, all things guitar, disc golf and reading comic books. In my free time, I read and consume content and information. I’m a novel information stimulation junky! Don’t hesitate to reach out and get some dialogue going I believe and want to work on the mission of building this community! Hit me up on Instagram @explanantoryficiton. As a huge comic nerd, I have a love of origin stories so don’t hesitate to let me know how you got here!